When you want a commercial exterior building cleaner to clean your buildings exterior facades call 0800 1577484 to arrange your FREE site survey, Today. 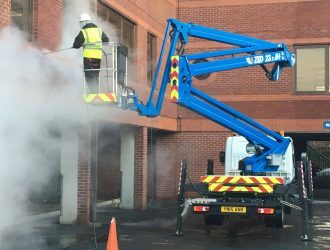 Choosing an experienced commercial exterior building cleaner is essential for the wellbeing of your property which will probably be one of your prime assets. There are so many different materials used on commercial buildings it would be wrong to assume they can be cleaned by a pressure washer for example. Instead a site survey needs to be undertaken to determine what type of cleaning and equipment needs to be used to ensure no damage occurs whilst exterior cleaning is undertaken. Choosing the wrong cleaning method may cause irreparable damage to the buildings exterior surfaces. Many commercial exterior building cleaning companies only possess high powered pressure washers and believe they can clean any type of surface with these machines. 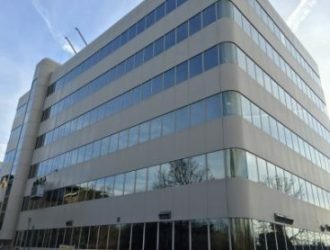 Exterior surfaces may need a variety of gentle phased cleaning techniques to ensure longevity of the buildings substrates and of course the clean results you would expect for your commercial building cleaning project. Therefore, an experienced building cleaning company will have the following types of commercial exterior building cleaning machines at their disposal to ensure you receive a phenomenal cleaning experience. 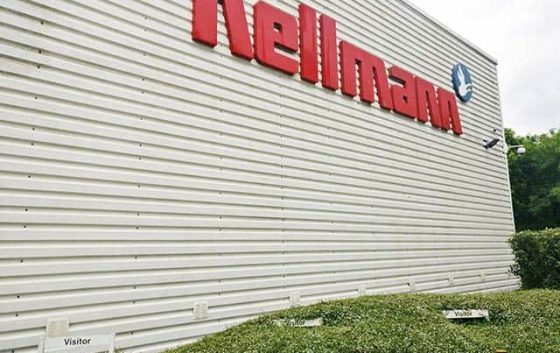 They will also have knowledge of creams and poultices which can enhance, protect and restore many types of exterior building materials such as cladding, stone, brick, aluminium, stainless steel, powder coated window frames, plastic and glass. When you are choosing companies to carry out your commercial exterior building cleaning project, call Purple Rhino on 0800 1577484 and discuss your free site survey and sample clean at a time that suits you. 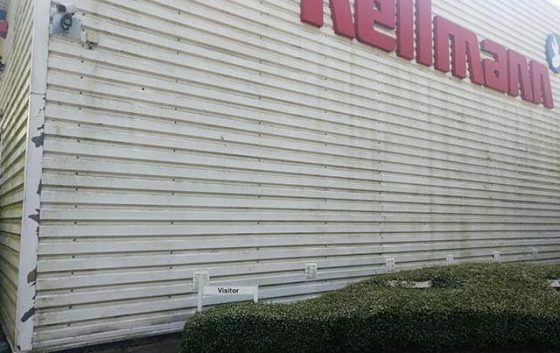 SoftWashing commercial exterior building cleaning projects is the very best way to start which will ensure no damage occurs to surfaces which you may see as hard but are in fact quite easily damaged using incorrect harsh pressure cleaning equipment. Sandstone can quickly be damaged should an inexperienced exterior building cleaner be let loose to practice on your building. Light carbon deposits may need additional surfactants to help loosen them from the buildings surfaces. Products such as Terra Wash often do the hard work for you. Sometimes a light steam using a Doff machine will also carry out your exterior cleaning demands to a very high standard, using superheated water at very low pressure will ensure no damage occurs whilst sensitive, phased cleaning is undertaken by Rosette Awarded Doff steam cleaning teams. New start up companies seldom have the capital needed to invest in top of the range equipment and business owners who have the desire often do not have the necessary experience required and exterior building cleaning works often end up becoming your worst nightmare when you find damage buildings and under insured cleaning contractors. Is it worth the risk looking for cheaper quotes? Choose your preferred exterior building cleaners carefully.